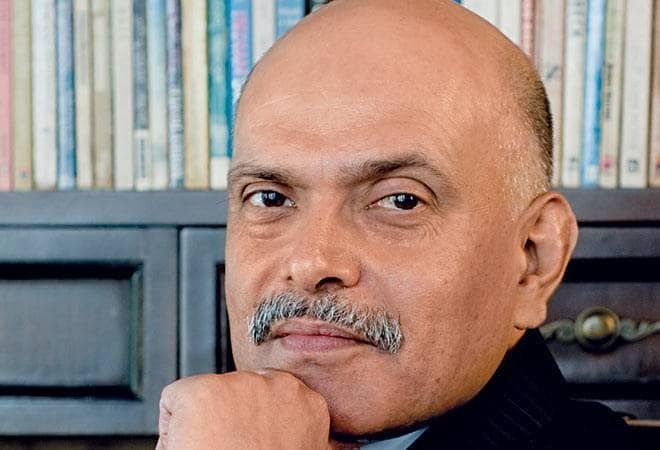 A day after raids by the Income Tax Department on his office and residence, media baron Raghav Bahl trashed allegation of bogus tax benefits levelled against him. The founder of the Quint news portal asserted that all business gains and losses were declared in their entirety in the appropriate year of tax filing, which were accepted and assessed to tax by the government. "So the attempt to "colour" our tax returns, now, as "bogus", is clearly a frame-up, and we shall take every legal recourse to protect our fair name and reputation in this case," said a statement released by Bahl, his wife Ritu Kapur and Quintillion Media Group released on Friday. Tax sleuths raided Bahl's office and residential premises in Noida to gather evidence under the probe against him on tax evasion charges. Bahl also claimed that 'private contractors' were deployed by the tax department to clone digital data during their survey, raising questions about its privacy. The income tax officials had said on Thursday that apart from Bahl, three other "beneficiaries" of the alleged bogus long-term capital gains (LTCG) claims -- J Lalwani, Anoop Jain and Abhimanyu -- were searched as part of the same action. The LTCG broadly refers to the amount of profit generated by an asset such as real estate, shares or share-oriented products held beyond a particular time period. The tax officials had said the business links of these companies with offshore entities were also being investigated. From 7.45 am on Thursday to 6 am on Friday, for 23 incessant hours, nearly 500 journalists and other professionals of the Quintillion Media Group, were held to the most intrusive ransom by India's tax officers. However, we are immensely proud of our team, that gave them full access and cooperation, often pointing towards information and assets that they may have missed during their search/survey operations. - All these and other gains/losses were fully detailed/declared in the appropriate year of tax filings; and more importantly, were accepted and assessed to tax, under this very government! But this also alerted us to the imminent possibility that more such frame-ups shall be attempted now. Therefore, picking up from the key points of yesterday's "interrogation", we would like to put the facts (again, not claims) for the non-partisan and fair people in this world to judge for themselves. Cash/Jewellery at home: All that was recovered was Rs 3.56 lacs in Indian currency, and Rs 33 odd lacs in modern and ancestral jewellery, almost entirely from my 82-year-old mother's cupboard. All of these assets are duly assessed and declared in past returns. Is it really that surprising that people of that age/generation feel more secure holding such a moderate amount within physical proximity? Flat in London: since both our children expect to or have graduated from a University in London, we decided, as a family, to invest most of our legally permitted LRS remittances (currently at $ 250,000 per family member per year) in buying access to such an asset. Accordingly, we made a booking in a new apartment building a few years back, and pooled our annual LRS remittances for this purpose. All of this has been fully declared in Schedule F of our income tax filings. In fact, we were asked, at least half a dozen times yesterday, by the tax officers, whether "we had fully declared these assets in Schedule F, including all details of overseas bank accounts?". When we answered, half a dozen times, in the positive, we could see that they were disappointed! Viacom18 JV: There was much confusion around this JV, which was done in 2008. They seemed to imply that it was done as a "round tripping" exercise by TV18! They also repeatedly confused this transaction with other subsidiaries/companies, including HomeShop18 and India Film Company. From memory, we did set the record straight, and asked them to reach out to Network18 for further details. BloombergQuint (BQ) JV: This one was truly surprising. They kept on insisting that we had got "Rs 10 cr from Bloomberg invested in the JV without a formal FIPB clearance". In fact, at one stage they even asserted this was a case of "round tripping" again! But when we produced a copy of our FIPB approval for this investment by Bloomberg in Quintillion Business Media (P) Ltd (our JV company), I reckon they had little option other than to accept the fact. (As an aside, there has been a report in a leading pink paper today that the nearly 2-year delay in receiving approval for BQ's TV channel is because the Ministry of Home Affairs (MHA) has raised some "security concerns". We challenge the government to put the MHA report on this subject in the public domain. We can say with absolute confidence that MHA has given a "categorical" clearance to us on security grounds, and the delay is on some other account). Link to Advantage/Artevea/Reddy: They asked us whether we had ever had any transaction with either Advantage Consulting or Artevea Digital (UK) or one Mr CBN Reddy. Our answer was a quick and categorical "no". No caveats, no qualifications. We have never had any transactions with any of these entities.